Ideally, nobody would want to have to deal with a bad home inspection. It’s one of those things that you just want to get through and move on from so that you don’t have to hold up the process. However, as I’m sure many of us know from experience, the house buying process is not always simple or straightforward. If you do experience problems with the inspection, negotiating the situation and coming out with a good deal will be key. Here’s how to get it right. Before you enter the negotiations, you should think about what matters most to you. There are some things that are worth haggling and negotiating over, but that maybe doesn’t apply to every single little problem. What matters more to you, getting every tiny detail fixed before you buy or moving through the process quickly? You should pick your battles. For example, if you plan on ripping out the kitchen and replacing it, is there any point having repairs done on it now? You should also think about who is going to be overseeing any changes that take place. If you negotiate with the seller to arrange and oversee the repairs, they might not care about the quality of the finish because this isn’t going to be there home for much longer. You also want to get things moving quickly, and that’s why it’s often best for you to oversee the changes. Asking credit at the end of the process is a good way to speed up the process and still get the cash to cover the repairs of the problems thrown up by the inspection. This would all happen at the close of escrow. So if you feel like you want to be the one overseeing the work and ensuring it’s completed to a high standard, this is the way to go. If you are about to enter negotiations with the seller regarding what happens next with the sale and the repairs, you need to retain your poker face. You don’t want to give away your future plans for the home because if they find out you’re planning on changing all the interiors anyway, they’ll probably less willing to give ground on the repair issues. Having said all of that, you do need to remember that there are a lot of human emotions at play here, and negotiating such things can be stressful for everyone involved. Try to be fair, calm and sensitive to the feelings of others when you approach this. If everyone does that, it’ll be a much easier process. 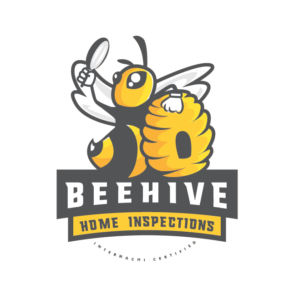 If you get a report back after the inspection telling you that the home has considerable problems, you don’t just have to accept that and carry on. It’s your right to negotiate for either a lower price, repairs or credit for those repairs. It would be wrong of you not to take action and try to win in these negotiations. What to do if you do not pass a home inspection? Many buyers dread their home inspection, and you can see why in a way. This is when you will find out whether your new home is going to be as safe and structurally sound as you want it to be or if it’s got a lot of problems that are going to need to be addressed. Even if the home doesn’t pass the inspection though, you don’t need to give up completely. There are some things you can do to get things back on the right track again. One of the worst things about discovering problems with the home from your inspection is that it so often comes as a shock. You should do what you can ahead of the inspection to minimize that. By being realistic and understanding the problems similar homes often have, you can set your expectations lower. You should also talk to the seller and find out what problems they’re aware of. It’s best that this kind of stuff is all out in the open. When the inspection comes back and the news isn’t great for you, you should immediately talk to your agent. They can help you assess the problems and then formally request that the seller make changes to the home and carries out repairs before the sale goes ahead. This shouldn’t necessarily apply to a small problem, but bigger ones like structural issues should always be covered by the seller before you move forward. One of the things that will be impacted by a poor inspection report is the price you can expect to pay for the property. You shouldn’t necessarily feel that the agreed price is set in stone if the inspection has thrown up some problems that nobody was really aware of before. The situation has changed, and that means the price can change too. You might be able to get a better deal in compensation for the problems found during the home inspection. It’s really the least you should expect. It’s best to always keep your options open when you’re responding to problems with the home. There are many paths you can go down. You can start by requesting the seller carries out repairs. You could also renegotiate the deal in a way that reflects the new information found out about from the home inspection, or in some instances you might just decide to carry on with the purchase as is. That last option usually only applies if you feel like you’re already getting a very good deal on the property. The prospect of a home not passing a home inspection is not something many home buyers even want to think about. But it’s something that does happen, especially when you’re buying an older home. However, it doesn’t need to be all doom and gloom because you can still move forward and maybe even still buy the home if you choose to. http://du1fvhi5bajko.cloudfront.net/wp-content/uploads/sites/72/2018/01/22012916/Screen-Shot-2017-12-07-at-3.32.03-PM-294x300.png 0 0 Mike Osman http://du1fvhi5bajko.cloudfront.net/wp-content/uploads/sites/72/2018/01/22012916/Screen-Shot-2017-12-07-at-3.32.03-PM-294x300.png Mike Osman2018-06-13 02:04:592018-06-03 13:10:00What to do if you do not pass a home inspection?